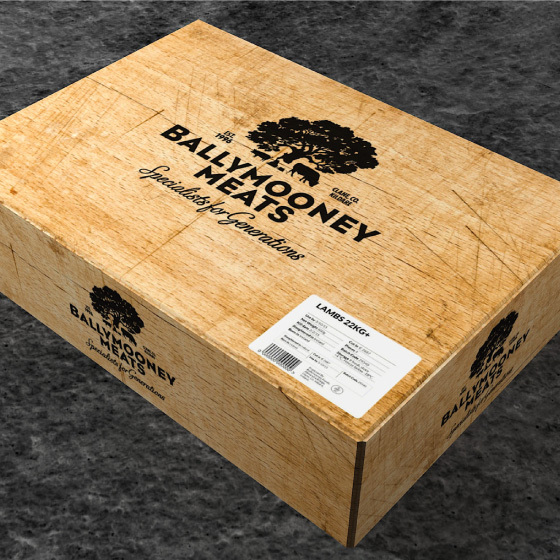 Ballymooney Meats has a rich heritage. 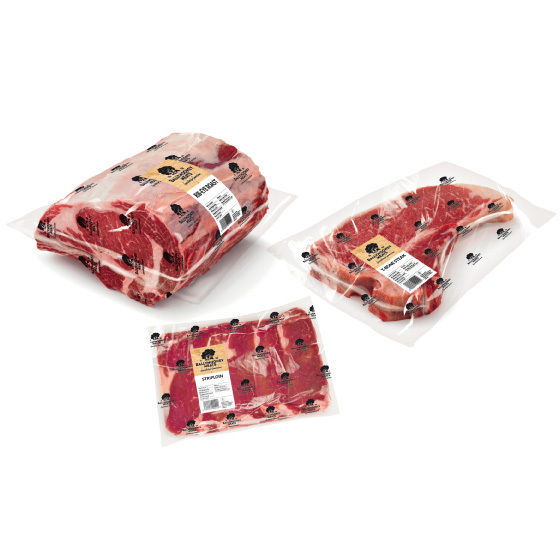 It’s a family run business with roots in butchery and meat processing going back several generations. We were asked to reflect this in our re-brand of the company. 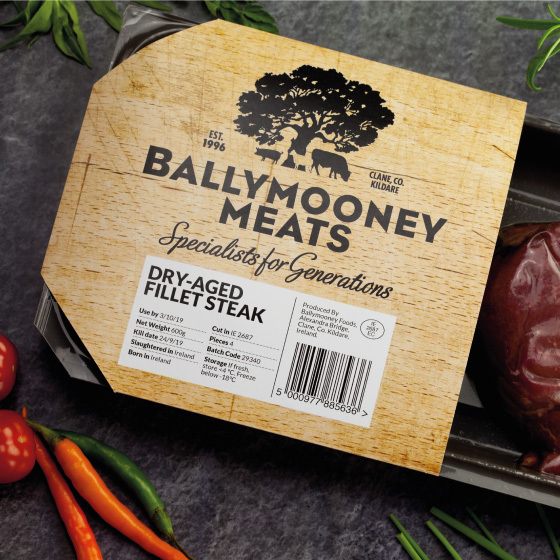 Ballymooney offers a niche service catering to the premium end of the market: A large part of the business was supplying wild venison; indeed the re-brand of Ballymooney was a follow-on from our re-brand of Wild Irish Game who were bought by Ballymooney in 2014. 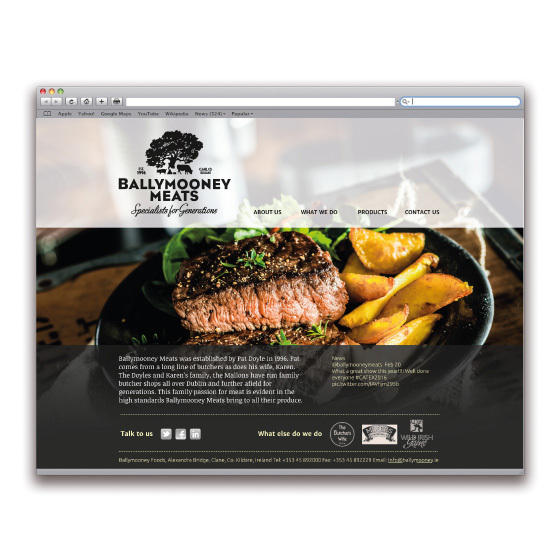 While the venison processing moved into the Wild Irish Game brand, the Ballymooney brand needed to reflect the quality, scale and values of the Wild Irish Game brand. 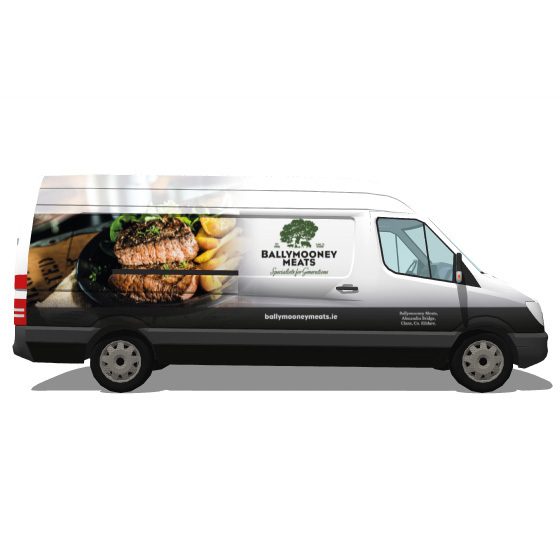 Thus we developed a logo, tagline and look and feel which spoke of generations of experience in supplying quality meats. 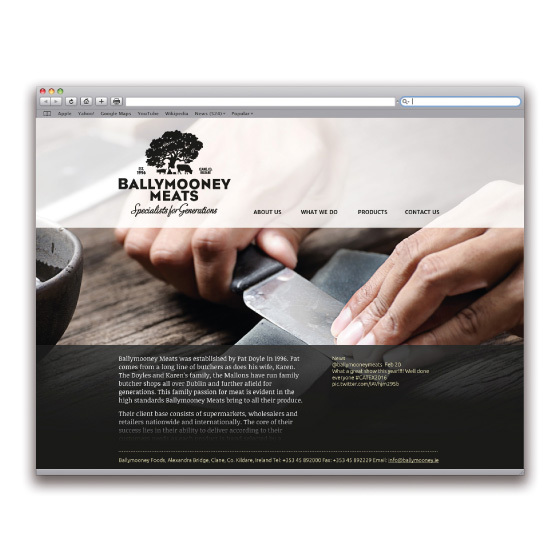 We used a muted, butcher shop palette of black and white and drew all other colours from textures of wood and slate and atmospheric food photography. 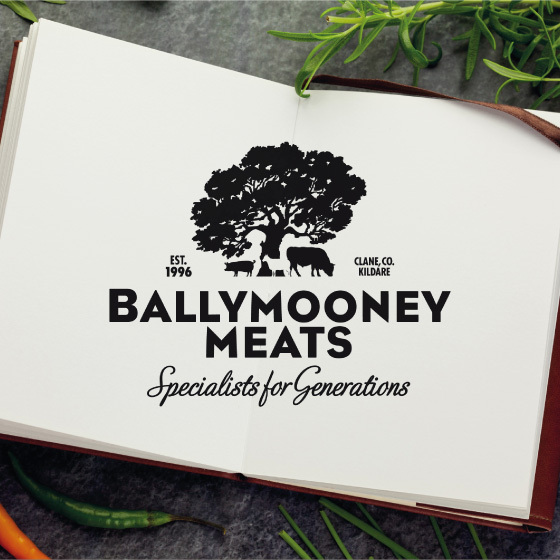 The logo came from the idea of a ‘family tree’ since both sides of the family have been involved in the meat processing business for generations. The logotype uses a typeface which is both clean and modern but has an early twentieth century feel to evoke the long history behind the brand.